For example, a most notable change is that the terms “waterproof”, “sweatproof” and “sunblock” may no longer be used on sunscreen labeling. Instead, FDA allows for only water resistant characterization with a qualification of either 40 or 80 minutes of water resistance per application featured prominently on the front label of the product display. 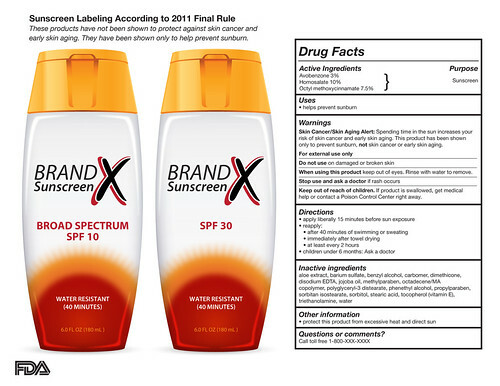 Similarly, for a sunscreen to use the term “broad spectrum", a specific set of tests are required to back up the claim. Furthermore, only if sunscreen qualifies as "broad spectrum" and SPF of 15 or greater, may a manufacturer make a specifically designated statement regarding the products ability to diminish skin cancer and early skin aging risks. The complex and extensive testing and labeling requirements for sunscreen products under the new Rule are imposed equally upon products manufactured in the U.S. as well as those imported into the U.S. from abroad. While the FDA has extended the deadline for compliance to December 2012, it is important to get started on making these changes right away with the assistance of a qualified professional to ensure compliance with these rules and requirements as well as the rapidly approaching deadline. Comments or questions, please post below or feel free to contact me directly.